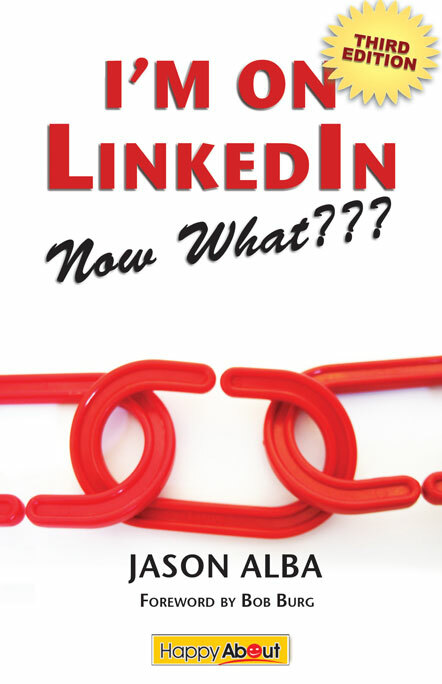 Graham King » What is the point of LinkedIn? What is the point of LinkedIn? Update 23 Aug 2011: Finally closed my LinkedIn account. To their credit the ‘Close Account’ feature is straightforward. I nuked my Linkedin account at the same time I left Facebook. Linkedin is supposed to be a business networking service, and I had about 350 contacts there, but I always found that service utterly useless, so it was a no-brainer to dump it. I’m on LinkedIn, I’m connected to 48 people. I go there, I declare to the world that I know these people. And then what? and the company itself had to blog about ten ways to use LinkedIn. If it takes a blog post, a book, and a community project, to find a point to your web application, I think there may not be one. Take the blog post for example. It says that LinkedIn is, and I quote, “a great way for professionals to strengthen their online brand reputation and leverage their professional network”. Huh? Let’s be honest, the reason you are ‘connected’ to these people on LinkedIn, as opposed to Facebook, Bebo, Orkut, or Friendster, is because you don’t want to “stay informed” about them. You don’t want to know what movie they watched last night. What about the second bullet point, finding people? That’s about recruitment, and the trouble is, recruitment has gone niche. Maybe it’s all about that last bullet point, your “professional online identity”? LinkedIn is your home on the web, a virtual calling card, MySpace without the teenage exuberance? Well, if you’re in tech and your only online presence is LinkedIn, that’s less than impressive. A bit like a graphic designer printing his business cards on that machine at the mall. You can pay LinkedIn $25, and they’ll let you send Chris an email (an ‘InMail’). You ask your friend Alice to ask her friend Bob to introduce you to Chris. You do what I do. You hit Back. Click on the next search result, which is Chris’ blog, select the Contact or About page, and email him directly. LinkedIn just wasted your time. I may of mentioned this before, but this is not the 1940’s. We Internet types are comfortable talking to strangers. All I want is an email address, and that’s what LinkedIn doesn’t give me. You go to LinkedIn. You declare all your connections. You complete your profile, recommend people, answer questions, and so on. You give them a lot. And what does LinkedIn do for you? They prevent people contacting you. So, what, exactly, is the point of LinkedIn? I think LinkedIn is like “Top Trumps”. I think all “social media” are antisocial environment. I don’t use any and am just fine with out them. Go out and be a person not a coward behind text. LinkedIn is just another popular kids club. LinkedIn = tosh I found myself being hoodwinked into joining this site a second time after deleting my first account because I thought it was a joke then. Reasons why?? well just look at some of the photos people post. This is supposed to be a professional site. We should be seeing suited and booted professionals exhibiting corporate photos. What do we get? bints flashing their bits and blokes making prats of themselves. Not a good start. Next, the Pokémon effect. Collecting names like kids collect cards. What is it about?? I suspect it is useless. I see it as a so called professional facebook. I’m out. no point to this nonsense. Can’t be bothered with all the email updates and bulletins. No value whatsoever. Total waste of time. It reminds me of kids collecting trading cards. Someone adds you, so you accept and think, what the hell, let’s write to the guy and see what we can do…well what a bloody surprise, he doesn’t respond. And why? He wants you to get access to your contacts…END OF. So that one day, when he decides to look for a new job, someone checks his profile and sees his 850 contacts…oohhh!!! big man!! He’s got he hook up and then some!! LinkedIn is like Pokemon cards for adults. To date, I have found little benefit from being Linked-In. Having said that I have been on the end of a couple of recruiting searches and business offers as the result of subscribing. Just nothing suitable to date. I would suggest that, how people find others is by the means of a truly remarkable path, and has little to do with formal means of introduction. I am also a believer in walking and using it to collect my thoughts; putting aside a little time each day to do so. For some strange reason I found myself typing “Solvitas perambulum” into Google this morning. Bravo! I have little use for LinkedIn either … other than it let’s me do exactly what you say. Stay loosely connected to the people I sort-of know. The people I really-know I don’t need LinkedIn for. Whether it will ever be of benefit to me seems debatable because I’ve been on it for 4 years and have used it to look up an email address exactly once. Return on effort? About zero.